By E.J. Schultz . Published on February 13, 2014. Kraft Foods Group is combining peanuts, meat and cheese into a new brand called P3 in a move to capitalize on America's growing protein fix. Kraft CEO Tony Vernon confirmed the launch during an earnings call on Thursday. "Protein is hot … whether it's peanuts or meats or cheese," he said. "P3 combines all of those products into a convenient snacking unit that we think is going to be a big winner." The brand name stands for "portable protein pack," according to an image of the product shown on a trade publication called Foodproductiondaily.com. The publication displayed a version of the product marketed under Kraft's Oscar Mayer megabrand name, noting that it was displayed at the International Production and Processing Expo. Kraft already sells cheese, nuts and meat in various other forms, so the move appears to be a classic case of repackaging existing items in a move to appeal to convenience-seeking consumers. The protein trend has driven demand for a range of products in recent years, including Greek yogurt. 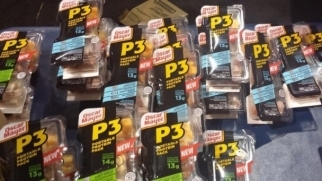 The packaging for P3 somewhat resembles Oscar Mayer Lunchables, which combine crackers, meats and other foods in a sealed pack that has long been marketed to kids. P3 seems more geared toward adult snacking occasions. A spokesman did not immediately provide details when asked about marketing plans. McGarryBowen is the lead creative agency on Oscar Mayer products. For the fourth quarter, Kraft reported a 2.3% increase in net revenue to about $4.6 billion. Net earnings for the quarter jumped to $931 million from $90 million in the same quarter a year earlier. During the call, Mr. Vernon said that ad spending in 2013 was up "double digits," and indicated that the company would continue to accelerate ad spending. "We feel that we are rebuilding the appropriate level of advertising," he said. Kraft is "75 to 80 cents on the dollar versus my goal of fair share of advertising," he said. "We continue to believe that we will march to that in 2014." 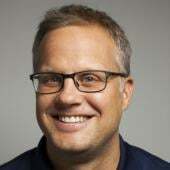 He added: "We are not going to be one of the companies that cuts equity advertising and innovation in favor of plowing it into trade [spending]."